Maitake mushrooms, like the shiitake, have traditionally been used in China and Japan as both a prized edible mushroom and a medicinal mushroom. Maitake mushrooms are also known as the Hen of the Woods, which is not to be confused with Chicken of the Woods (laetiporus sulphureus). Although both mushrooms are shelf fungi, the Chicken of the Woods, also called Sulphur Shelf mushroom, is bright orange to yellow in color and cannot be mistook. Maitake mushrooms typically attack live trees that are already dying from other causes. Maitake is one of the most significant edible mushrooms, and has many of the same medicinal benefits as shiitake and reishi. 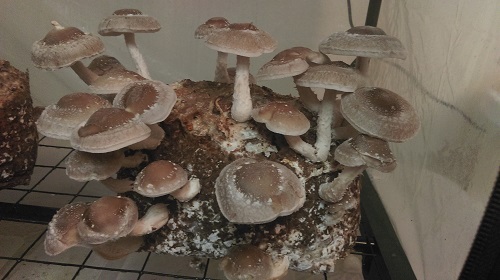 Maitakes can also be dried and powdered and made into a tasty tea. Maitake mushrooms may help regulate blood sugar levels, blood pressure and cholesterol. 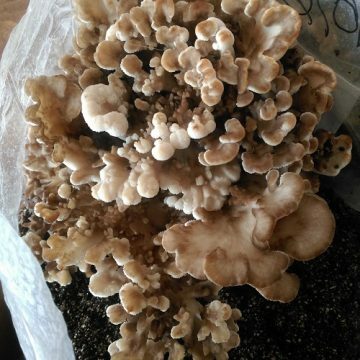 Maitake extracts have also been shown to boost the immune system and inhibit tumor growth. The body’s immune system has a variety of cell types at work to attack viruses, bacteria, cancer cells and other invaders. As you age, use alcohol, smoke cigarettes, consume preservatives and pesticides in your food or even use many common prescription drugs, the extra tax on your body can compromise the immune system. 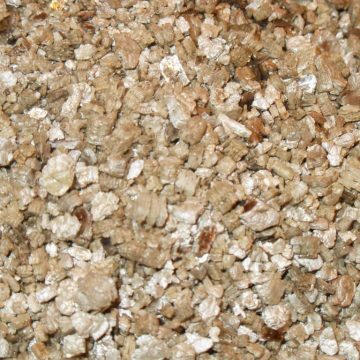 D-fraction, extracted from maitake mushrooms, can be beneficial to help counter-balance many of the stressors life and life choices impose on the immune system. Getting this type of beneficial support directly from your diet is probably much better than taking supplements or pills. Unfortunately, fresh maitake mushrooms are not commonly sold in most supermarkets, and they can be quite expensive to buy on a regular basis. 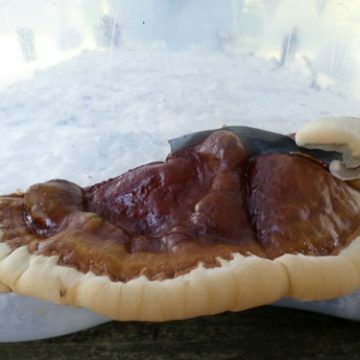 Maitake extracts can be bought, but they too are expensive. 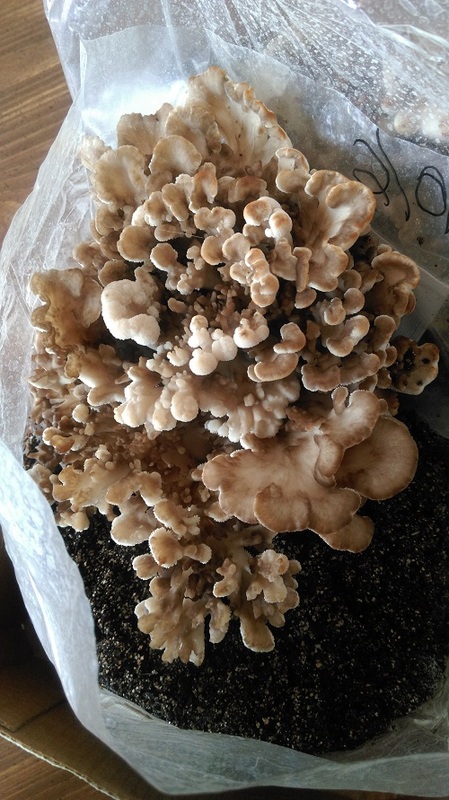 Luckily, it is possible to grow your own maitake mushrooms at home. Maitake mushrooms are woodlovers. 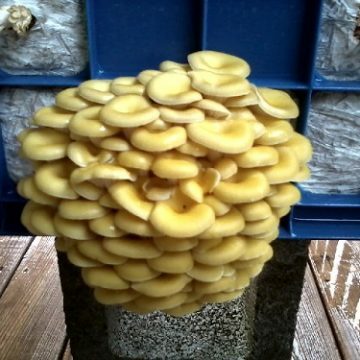 Maitakes naturally grow on trees, and you can grow your own maitake mushrooms on hardwood logs using dowel spawn. 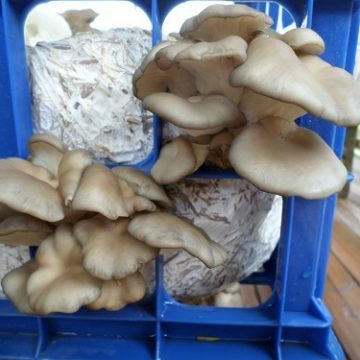 This same growing method is commonly use for shiitake mushrooms. 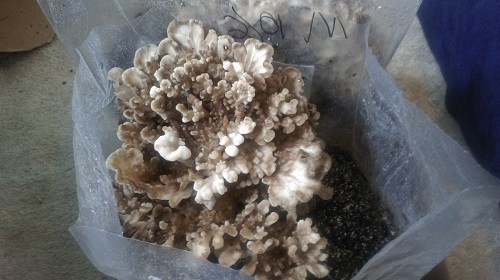 Maitake mushrooms also grow well on supplemented sawdust blocks, spawned with colonized grain such as rye berries, millet, wheat, wild bird seed or sorghum. Spawning does best between 70-75 degrees. 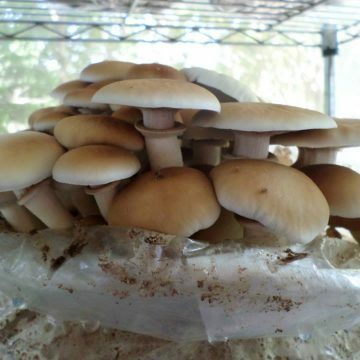 After your initial spawn run, a drop in temperature down to 50-60 degrees for primordia formation is recommended followed by a slight increase in temperatures up to 55-60 degrees for fruiting. 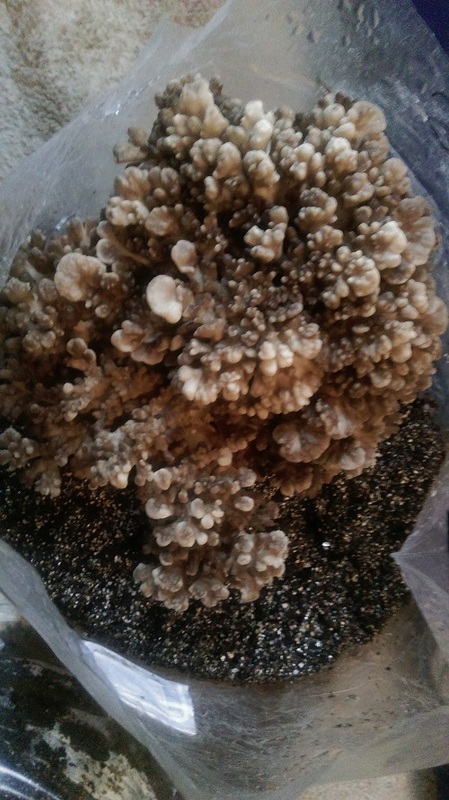 Each item contains one petri dish with a maitake mushroom culture culture colonized on MEA substrate.